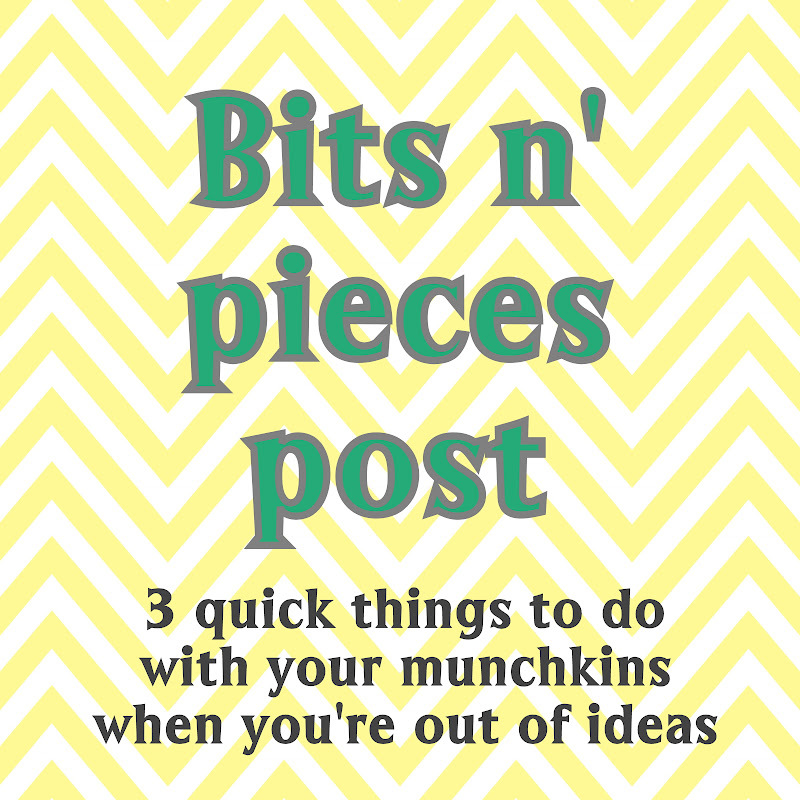 Here's a quick look at three simple, quick and cheap activities you can do with your munchkins when time, money and mess are not on the table! 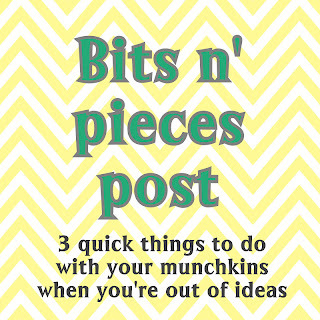 First up is a great little activity for older tots which fine tunes motor skills and requires minimum set-up. I got my hardware-industry hubby to nab us some mega-sized bolts and matching nuts for another quick game (put a variety of matching nuts and bolts into a box and have your tot match them up and screw the nuts onto the bolts - with supervision, of course) but for this I only used one of the bolts, a few of the nuts and a paper cup. Make two holes in the cup opposite each other, slightly bigger than the width of the bolt you're using, and get your child to insert the bolt through both holes, find the matching nut, and screw it onto the end. Voila! The second easy-as-pie activity is to let your tot refashion their clothes. No scissors, no sewing, no fabric paint required... just plenty of stickers! Eden took inspiration from her little-boy-bestie L. who is currently obsessed with covering every bit of himself in stickers, and covered her hands in them. Then she used the sticker sheet outline thingy (the sticky bit left on a sticker sheet once all the actual stickers have been removed) to decorate her pj's and transform them into - and I quote - "fabulous dancing sticker clothes"! We (Ava and I) followed her lead, covered ourselves in stickers and we all danced around to some loud music (the best kind). Fun, fun, fun! Lastly, give the old drawing routine a change-up by adding a little detail to act as inspiration. For those who remember the ol' TV show 'Mr. Squiggle', just use that principle. Start off with a sheet of paper with something on it - a scribble, a patty pan, some confetti. See what your child draws around your 'starter' - you may be surprised at how inventive it is. We used crumpled aluminium foil, feathers and googly eyes. With the googly eyes picture, I thought Eden might draw a monster or an animal, but she told me that her scribbles were to be interpreted as a lovely dress with googly eye buttons. Of course, silly Mummy. I hope these ideas have helped, and I would love to hear about any variations you do/have done with your kiddies. Thanks for reading! ~ L.